Amenity cards giving you access to the facilities of the Seabrook Island Club are available for purchase. These cards give you access to the oceanfront pools (seasonal), Pelican's Nest outdoor restaurant/bar (seasonal), Island House restaurant/bar, golf and tennis. Additional fees are charged for all activities except outdoor pool usage. 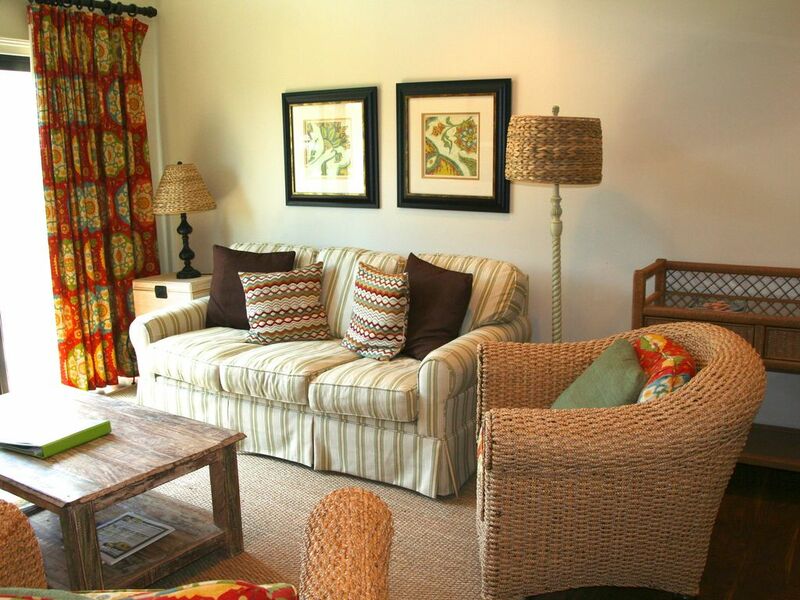 Coastal Getaways of South Carolina has been handling the rentals of Seabrook Island properties since 2006. We represent homes, villas, cottages, and townhomes in a variety of locations, neighborhoods, and price points and can help you find the right place to ensure your trip to Seabrook Island meets your expectation. We pride ourselves on our honest, personal service. We offer cancellation insurance if you'd like to purchase it. 7% of the total cost if you cancel due to medical reasons for you and your family. 9.8% of the total cost in order to be able to cancel for any reason, at any time. If you don't purchase insurance, the following applies: If you cancel more than 30 days prior to your scheduled arrival date, you receive your funds back, minus $250. If you cancel with less than 30 days prior to your arrival date, you loose your funds. If we are able to rent it, you receive what we can rent it for, minus the $250. Feel free to ask any other questions you may have. Standard coffee maker and a Keurig. We were really impressed with our stay here. The condo had everything we needed, and the pool and beach club were a short 4 minute drive away. We loved riding our bikes around the island and to fresh fields village. If you are looking for a non commercialized beach experience, then this is a perfect spot for a getaway. We absolutely would return again, but next time we will stay longer! Property was clean, well equipped , decor a little dated. Overall we enjoyed our stay. Loved the island. We owned a tennis villa in the 80's so it was a trip down memory lane. Was surprised the Tree Houses looked in need of repair. Love that it is still a family spot & not commercial . The wait staff in the restaurant needs more training. Think Seabrook should market itself so it can compete with Kiawah & Wild Dunes. It would be nice to have umbrellas & chairs provided on the beach. Perhaps updating villas would attract more people. I realize that is hard to control unless you had an Association which would require certain standards for all rentals. All in all it is a beautiful spot. Very clean and roomy. We loved the layout and space. It had everything we needed and was so close to the beach and pools and amenities. I can’t wait to come back. We are so happy you enjoyed your stay at 125 High Hammock. We look forward to your return visit to our special island!! Perfect for a getaway with friends or family of 4!!! This villa isn’t an end villa and on the top floor. The company we worked with to rent the villa is fabulous and always available to help out!! We're so glad you had a wonderful time! Not sure what you meant by it isn't an end unit and on the top floor as it is. It was great having you visit. We look forward to having you back on Seabrook again soon! We enjoyed our stay tremendously. Seabrook Island is our favorite place and this villa was great! Beautifully decorated, clean, and a wonderful view of the golf course! Would definitely stay here again!